Another week for the Turn It Up Tuesdays and the link-ups are growing in numbers! Don't forget to link-up today and party with other amazing bloggers! 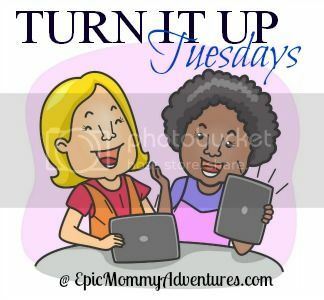 Welcome to the 5th week of Turn It Up Tuesdays! Last week we had a total of 92 link-ups! We want to thank you for making these past few weeks so awesome! Stacey chose Finding Contentment by Emily at My Love For Words. "This one really hit home for me, because as blessed as I know I am, I have still been struggling with the feeling of discontent that I know is a battle within myself; I loved the idea of the gratitude journal and think that it might be something to start." Jessica chose 10 Secrets for a Great Father/Daughter Relationship from Barbie Bieber and Beyond - Raising Girls. "I loved her tips and the story about her father! I am currently a mother of 2 boys and I think her tips would also work on mother/son relationships too :)"
Miriam chose the Haunted (but cute) Graveyard Brownies at Lori's Culinary Creations. "I love this idea and it looks yummy." Denise chose Why I Make Pancakes on Sunday Mornings by Jan from An Ideal Mom. "It was a simple story filled with so much meaning and heart. Normally, I view traditions as being annual events associated with holidays. I now feel inspired to start such a simple weekly tradition. In fact, I may start trying to make pancakes every Sunday for my girls." 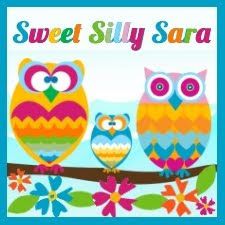 Sara from Sweet Silly Sara chose Natural Homemade Jewelry Cleaner by Tenns at New Mama Diaries. "I love DIY posts and have been looking for a great way to clean my jewelry without spending a fortune in the process." Natasha chose When The Man You Married Marries Someone Else by Lizzy at The Muddle-Headed Mamma. "This is a beautiful and honest story. The experiences and emotions that Lizzy faces in this story is incredible, and one that from my own situation, completely appreciates and respects." Sara from Content in the Meantime chose Travel to San Francisco and Back… by Jodie at Juggling Food, Family, & Chaos...One Recipe at a Time with Jodie Fitz. "I went to San Francisco for a day, and this post made me want to go back and see these great sights! I did get to experience Lombard st and the Golden Gate bridge, but I want to go see it again!" Stopping by from the sixth week of turn it up Tuesday. Thanks for co-hosting. Great site!